A visual delight for you today in the form of new photos from the sets of new eight part historical TV series MEDICI: MASTERS OF FLORENCE which will air sometime next year. 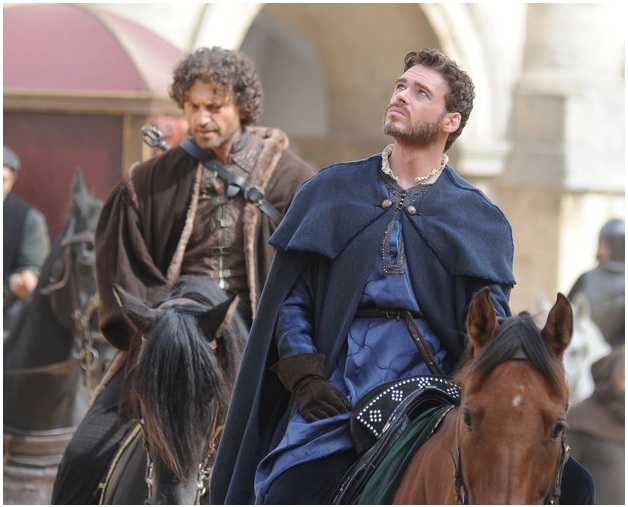 The pics show our deeply beloved Richard Madden as a true symbol of super dashing Renaissance hunkiness! The eight part epic series will see him playing the lead role of Cosimo de Medici, the young prince of the political dynasty and their enterprising son, with Dustin Hoffman playing the patriarch of the family, Giovanni de Medici, as they ascend from simple merchants to power brokers. is set in Florence in the early 15th Century. 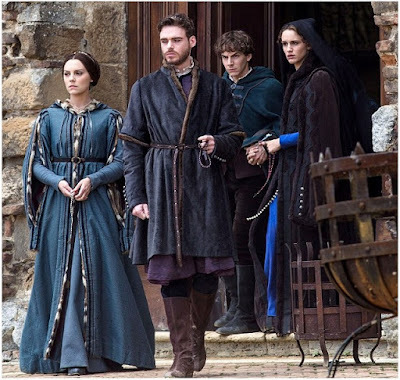 Cosimo de’ Medici (Richard Madden) finds himself at the helm of his supremely wealthy, banking dynasty family, when his father, Giovanni (Dustin Hoffman) dies suddenly. 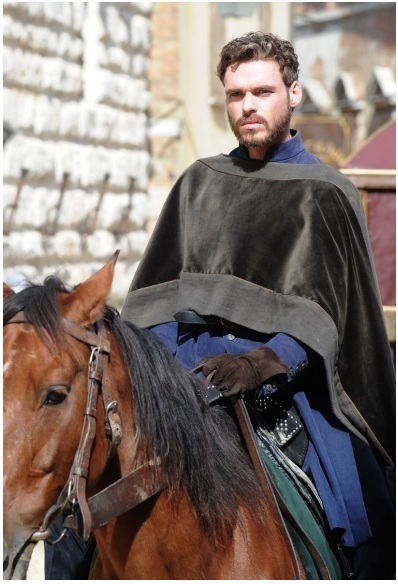 However Cosimo is concealing a dangerous secret – Giovanni was murdered. Now Cosimo must unearth his killer in order to protect the wealth and power of the family. It is this wealth and power that has elevated the family to a status equal to that of the nobility, much to the distaste of many of Florence’s old noble families. It is also this wealth and power that has brought much political and social influence to the Medici. However the Medici are unique in that they are neither nobility nor commoners, they are the new ‘middle class’. Aided by his brother, Lorenzo de' Medici (Stuart Martin) and his trusted servant, Marco Bello (Guido Caprino), Cosimo searches for his father’s killer. Top of his list of suspects is arch-enemy, Rinaldo Albizzi (Lex Shrapnel), his one-time friend. 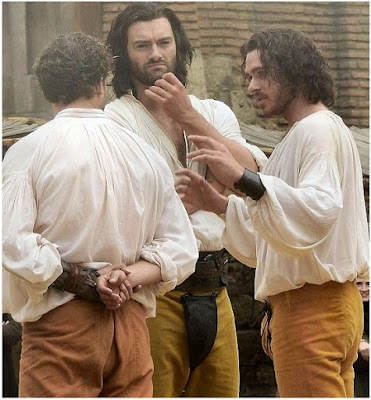 Cosimo must also strive to maintain his father’s financial legacy but his ambitions are vastly different from his father’s. Cosimo is drawn to art and architecture and he embarks on the completion of the Duomo. Cosimo’s love of art will herald the birth of the Renaissance. 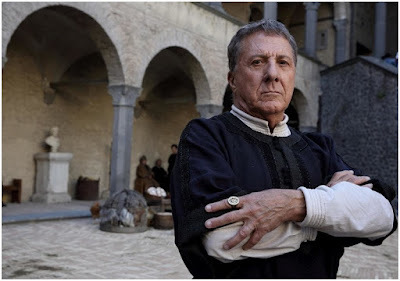 To be aired on RAI in Italy and sold for airing around the world as well, the series has been shooting in Rome and Florence, Italy, acquiring an unprecedented access to some historic sites where many of the actual events occurred, including Palazzo Vecchio, the Basilica di San Lorenzo, and the Duomo. It is created by Frank Spotnitz ('The Man in the High Castle' and ' The X-Files') and directed by Sergio Mimica Gezzan ('The Pillars of the Earth). The Medici came to power at a time of great social and economic inequality and they were great disrupters since their banking practices led to the creation of a middle class, making them unimaginably wealthy. The Medici in turn used their vast power and resources to challenge traditional thinking, ushering in a new era of revolutionary art and science such as the world had never seen. 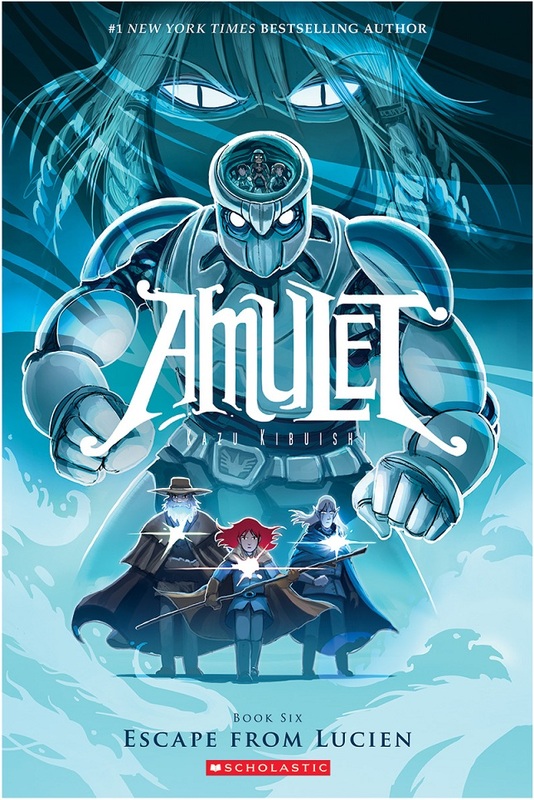 Big screen adaptations for you today, starting with 20th Century Fox who has bought the rights on Kazu Kibuishi's AMULET graphic novels with the plan to turn it into a possible new movie franchise! Voted best YA book a few years ago and sold in 2 million copies so far, it follows a young girl named Emily, her younger brother Navin, and their mother Karen as they move to their great grandfather’s house to start a new life. The house proves to contain a dangerous portal, and after a creature pulls Karen through it, the kids set out to save her in an alternate world inhabited by demons, giant robots, elves and highly intelligent animals. 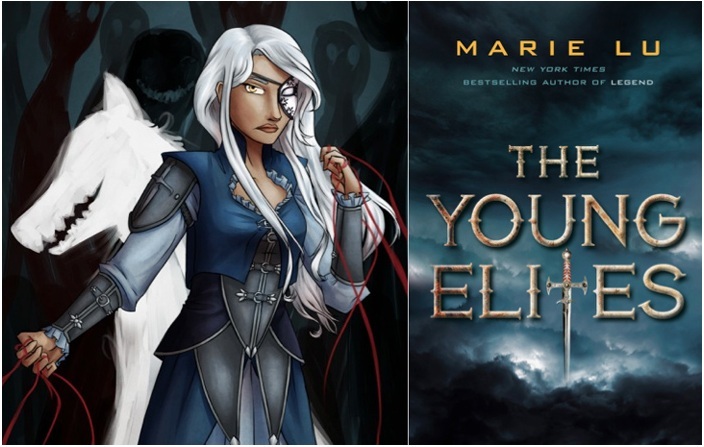 Another mega popular young adult saga to get a movie adaptation is also Mari Lu's fantasy series THE YOUNG ELITES which your dearest spy has just finished translating today for the readers in his country. As 'The Hollywood Reporter' wrote, 20th Century Fox and the studio behind MAZE RUNNER movies will work on this one as well. Planned as a trilogy, the saga has recently published second part THE ROSE SOCIETY. 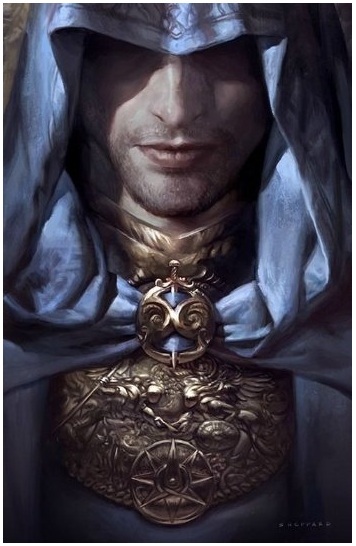 Lu's previous saga LEGEND has also been sold for an adaptation! 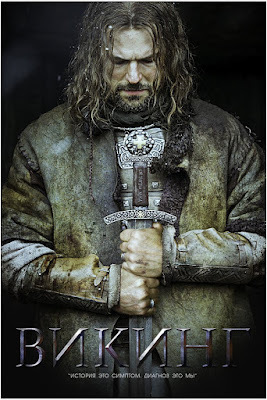 Set in a medieval fantasy world, the story centres on the survivors of a deadly plague called the blood fever. Many of the teens that survive have been physically transformed and discover that they've acquired special powers. This secret group of gifted teens is called THE YOUNG ELITES, and their lives are threatened by a group called the Inquisition Axis, which is seeking to destroy them. The protagonist is Adelina Amouteru, who, post plague, has silver hair and only a jagged scar where her left eye once was. When a secret society that strives to protect THE YOUNG ELITES finds Adelina, it discovers she has powers like they’ve never seen before. HAS SLOTHS AS DESK CLERKS! And while you're probably going to cinema this Thanks giving to watch THE LAST DINO- SAUR, we're going animated today too, beginning with a new trailer and poster for Disney's ZOO TOPIA which will bring the menagerie to the theatres next March following a fox (Jason Bateman) who is framed for a crime he didn't commit. 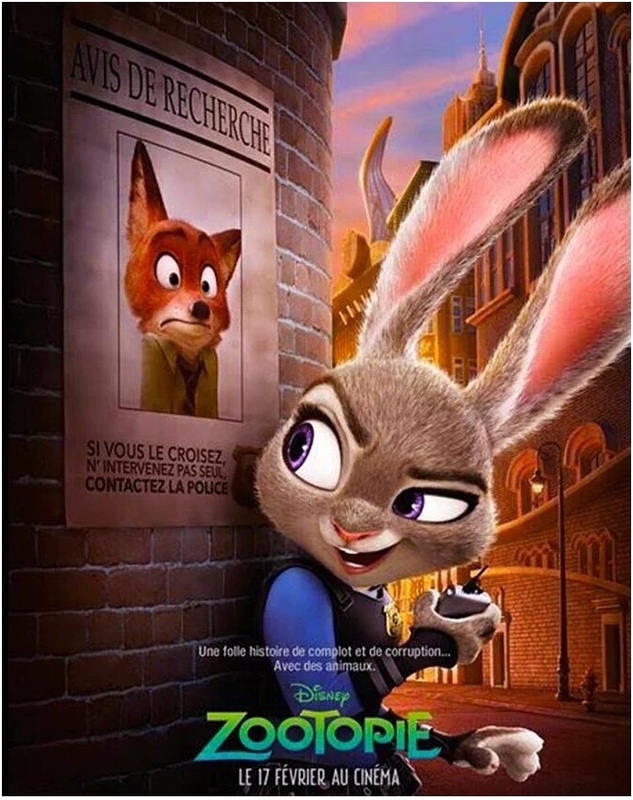 Hot on his tail (quite literally) is the town's top cop, a rabbit (Ginnifer Goodwin) who will stop at nothing to catch her prey. But when they both become targets of a conspiracy, they're forced to join up and work together. 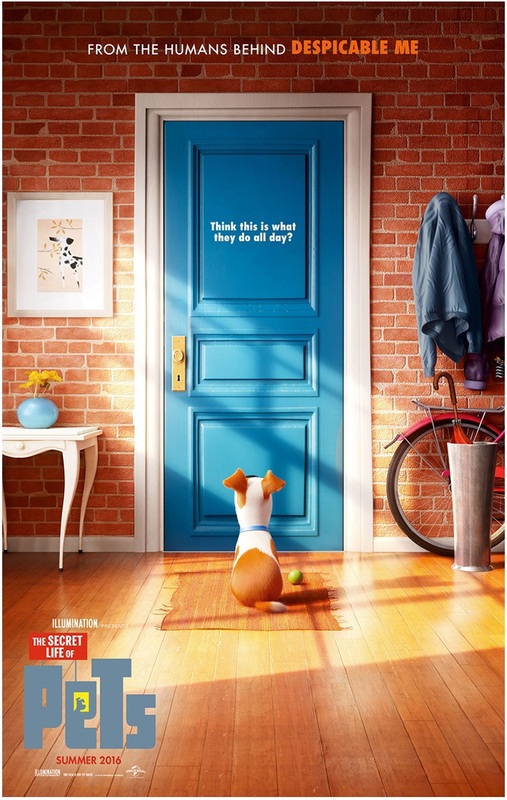 Meanwhile, a new wonderfully festive (don't miss the uber hilarious end with a hampster) holiday trailer has been released for THE SECRET LIFE OF PETS out next July! Taking place in a Manhattan apartment building, Max's life as a favourite pet is turned upside down, when his owner brings home a sloppy mongrel named Duke. They have to put their quarrels behind when they find out that an adorable white bunny named Snowball is building an army of abandoned pets determined to take revenge on all happy-owned pets and their owners. Although it has already aired around the world, French animated movie THE LITTLE PRINCE will arrive into US cinemas next March and we have a new trailer featuring voices from a rather stellar cast which includes Jeff Bridges, Marion Cotillard, Paul Rudd, James Franco, Benicio del Toro, Ricky Gervais and Paul Giamatti! 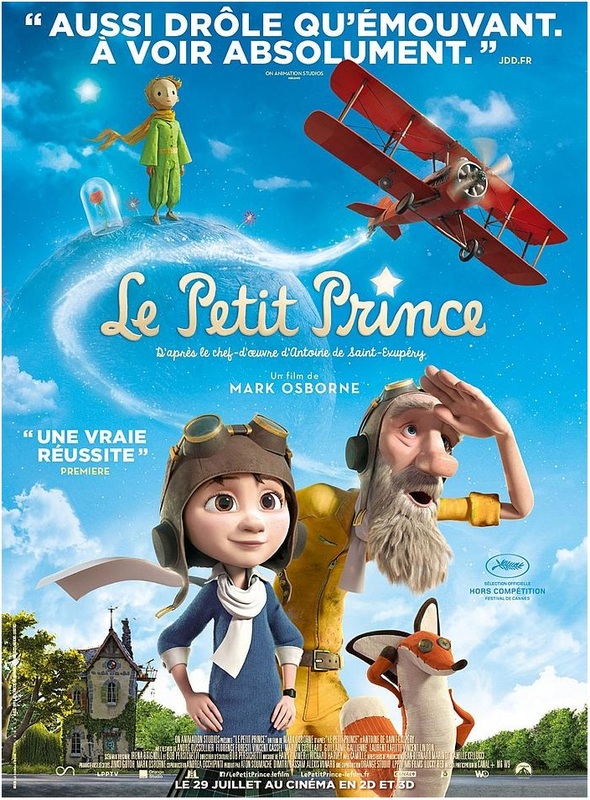 At the heart of it all is The Little Girl who meets the Aviator who introduces his new friend to an extraordinary world where anything is possible. 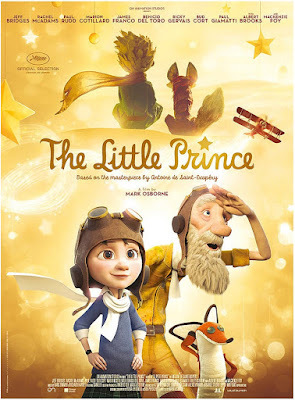 A world that he himself was initiated into long ago by THE LITTLE PRINCE. It's here that The Little Girl's magical and emotional journey into her own imagination - and into the universe of The Little Prince - begins. And it's where The Little Girl rediscovers her childhood and learns that ultimately, it's human connections that matter most, and that what's truly essential can only be seen with the heart. 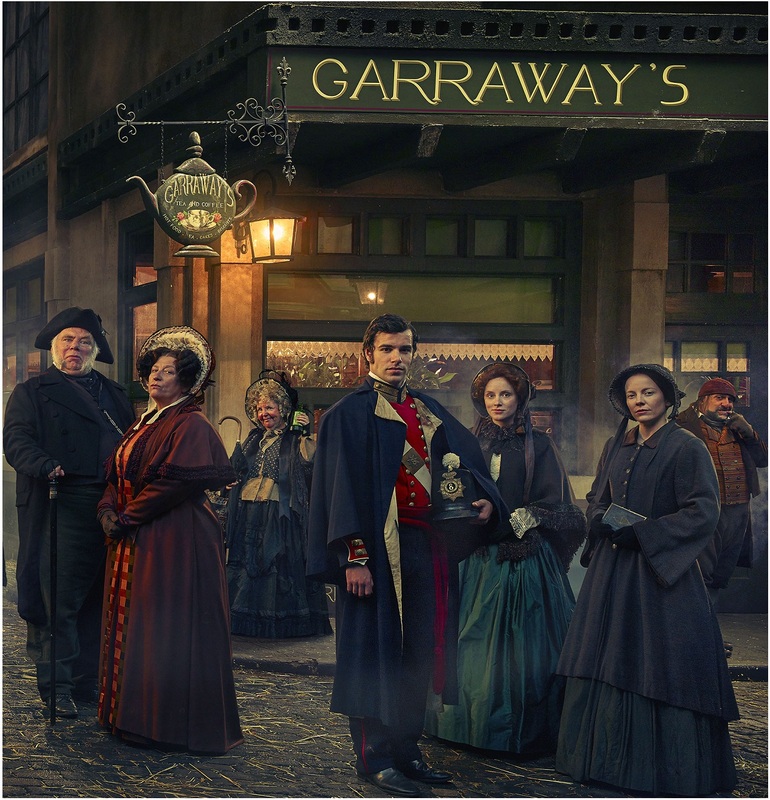 We're going British today, taking a peek into festive TV programmes on the isles this Christmas with new photos! BBC is finally ready to start airing 20 half hour episodes of DICKENSIAN drama in which some of ... ... the most famous of Dickensian characters, including Mrs Bumble, Mrs Havisham and Mr Scrooge, live together in the same street of Victorian London! The cast is lead by legendary British thespians Caroline Quentin, Pauline Collins and Stephen Rea! The 90 metre cobbled ... ... street in which they all live has a pub, a church, law courts, The Old Curiosity Shop, The Three Cripples Pub, and, of course, Fagin's Den! 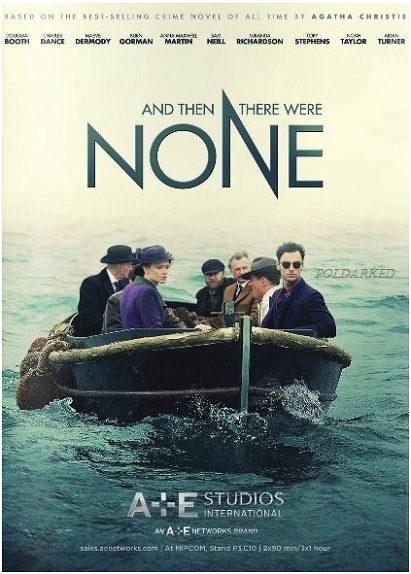 BBC is also set to air long awaited small screen adaptation of Agatha Christie's bestselling novel AND THEN THERE WERE NONE at Christmas too! The 1930's three part mini series revolves around ten strangers on an island who are killed one by one. 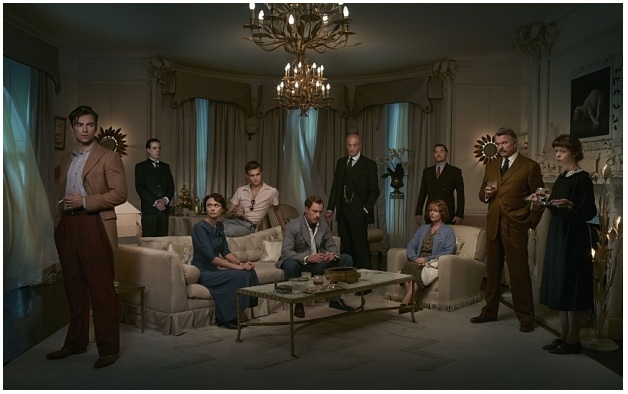 Charles Dance, Miranda Richardson, Douglas Booth and Aidan Turner lead the cast! Over at Sky One you can watch brilliant Timothy Spall as FUNGUS THE BOGEYMAN a three fart series about Fungus, his wife Mildew and son Mould who struggle to fit in with the “drycleaners” (people) of Daventry. It’s a tale of slimy monsters, dangerous humans and what happens when the things that go bump in the night move in next door. 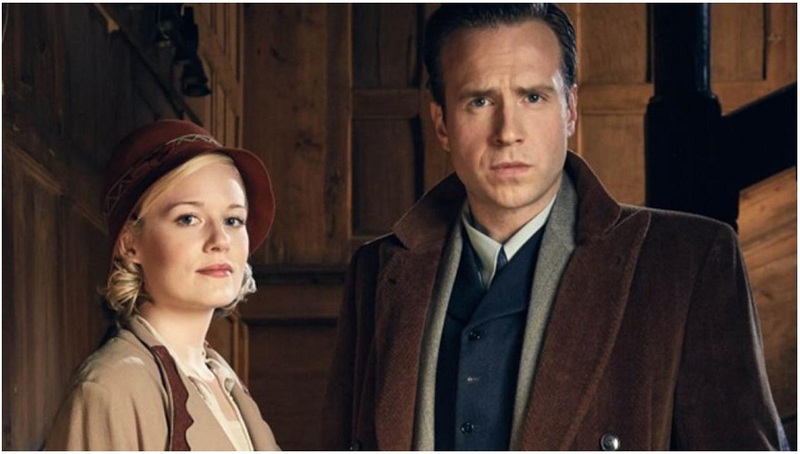 ITV will bring us our deeply beloved Rafe Spall in TV movie HARRY PRICE: GHOST HUNTER which is. based on a novel by Neil Spring, set in 1920s London following Britain’s most famous real-life ghost hunter and sceptic, Harry Price, who investigated tales of the paranormal and supernatural. 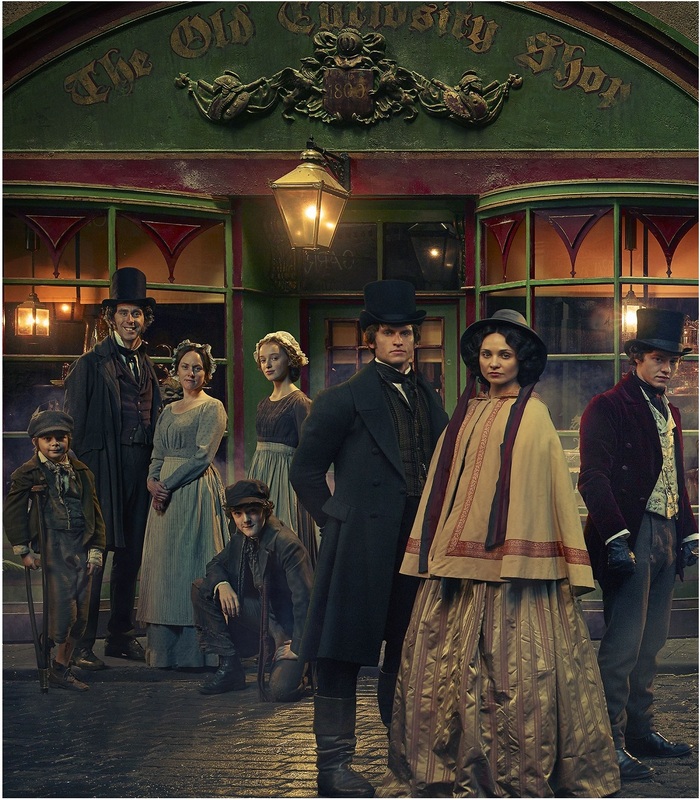 TV updates for you today, people, starting with the news on BBC One's and FX's epic series TABOO starring Tom Hardy which has just revealed its cast! In the story created by himself, Tom Hardy plays James Keziah Delaney who returns to 1814 London after 10 years in Africa to discover that he has been left a mysterious legacy by his father. Driven to wage war on those who have wronged him, Delaney finds himself in a face-off against the East India Company, whilst playing a dangerous game between two warring nations – Britain and America. Michael Kelly will be American doctor Dumbarton, Jonathan Pryce is Sir Stuart Strange, the head of the East India Company and Delaney’s nemesis, Oona Chaplin is Delaney’s half-sister while David Hayman will be his trusted man-servant. 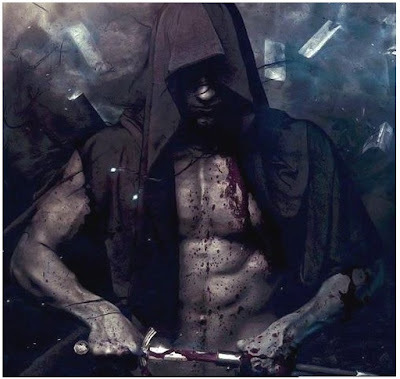 Meanwhile, besides announcing the fourth movie in famous sf epic saga RIDDICK, Vin Diesel has revealed that it will be turned into TV series as well titled MERC CITY! It will follow the Mercs and Bounty Hunters of the Riddick Universe. The fourth movie in the saga, will be called CHRONICLES OF RIDDICK: FURIA! At the same time, Netflix is planning to reboot LOST IN SPACE TV series, this time a more grounded sf saga about a young family of space explorers who get lost in the galaxy and encounter strange alien lifeforms while trying to overcome insurmountable odds. Dracula Untold writers Matt Sazama and Burk Sharpless are penning it! 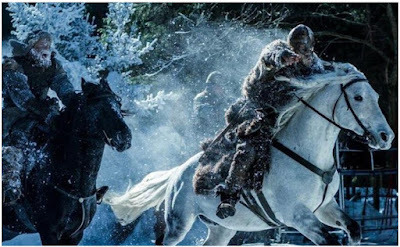 Two exquisitely immersing Russian trailers for you today, starting with the mesmerizing trailer for new Russian epic VIKING which arrives into theatres December 2016 starring their biggest star Danila Kozlovsky as prince Vladimir and THE WOLVERINE's Svetlana Khodchenkova! History is a symptom of our disease. From the time of heavy swords and dark laws of blood, when the pressure of great chaos gave rise to heroes. From the Dark Ages came the story that changed the world forever. Set in the 10th century Kievan Russia it follows young VIKING prince Vladimir Novgorod who is exiled into the snowy regions across the frozen sea after the death of his father. 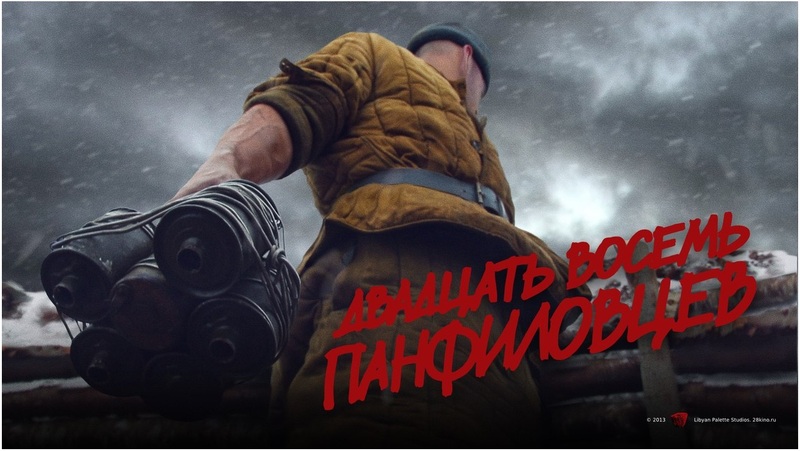 One of the most expensive movies ever made in Russia took almost 5 years to be made directed by famous Russian director Andrey Kravchuk! The second one is for the World War II Russian action epic movie PANFILOV'S TWENTY EIGHT which tells the heroic story of 28 brave Russian soldiers who single handedly managed to destroy 18 Nazi tanks which were on their way to wreck havoc on Moscow in Autumn 1941! It took three years to produce this historical epic! 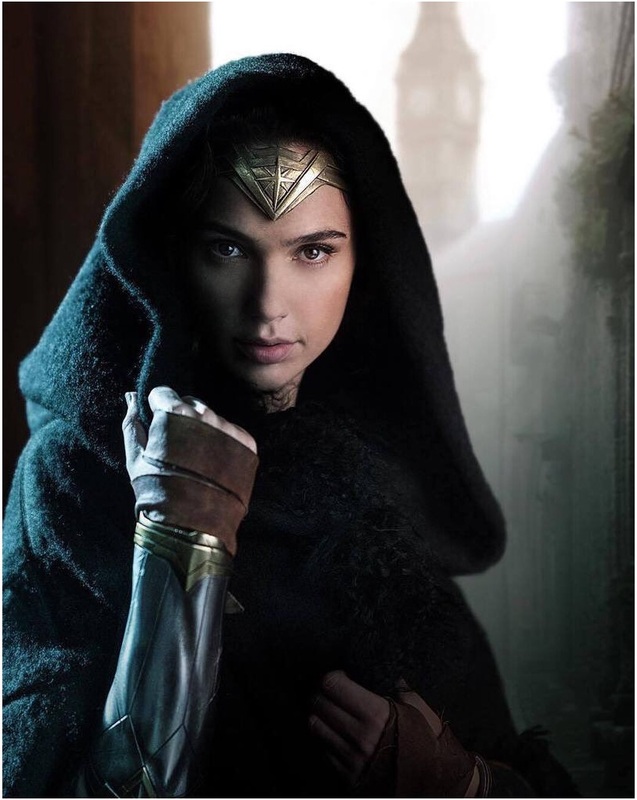 DC and Warner Bros. have revealed today the first look of Gal Gadot in the WONDER WOMAN movie celebrating the start of the shooting. 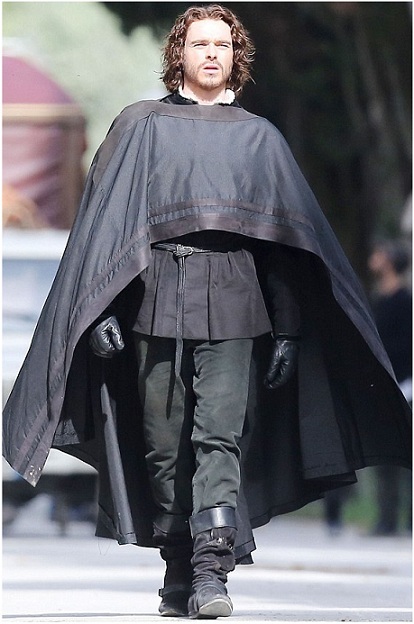 Although the story is still kept under wraps, a picture of Gal's costar Chris Pine from the sets, which has been deleted in the meantime, reveals that at least part of the movie might be set in World War I! Before she appears in her 2017 standalone movie, WONDER WOMAN will first appear next year in SUPERMAN VS BATMAN. Chris Pine will be her love Captain Steve Trevor (who could also play his own grandfather in WWI), Robin Wright is Claire Underwood, Danny Huston, David Thewlis and Ewen Bremner also starring. 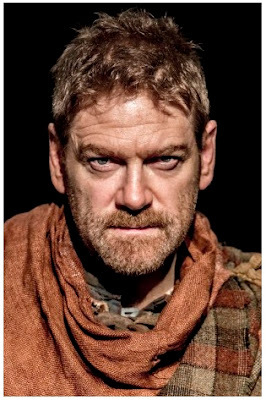 And here's some lovely Agatha Christie news: 20th Century Fox has hired legendary Kenneth Branagh to both direct and star in the new movie version of MURDER ON THE ORIENT EXPRESS! Branagh will not only direct and star as Hercule Poirot, but will also produce with Ridley Scott! As 'Deadline' reports, famous for its labyrinthine plot and unconventional solution, the story first published in 1934 sees detective Poirot stranded on the famous train during a terrible snowstorm in a town in Yugoslavia. When a fellow passenger is murdered, Poirot discovers a great number of other passengers could be the culprit. 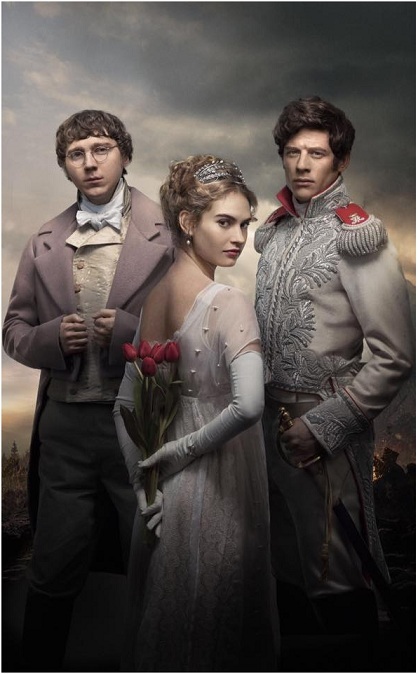 BBC's sweeping epic series WAR AND PEACE which arrives to the small screens this January starring James Morton, Paul Dano and Lily James has a new photo. Epic six episodes chronicle events surrounding the French invasion of Russia seen through the eyes of five aristocratic Russian families. Also starring Jim Broadbent, Gillian Anderson, Aneurin Barnard and Brian Cox it will air on Lifetime and History in USA. CHRIS HEMSWORTH AS A NEW 'ALLAN QUATERMAIN' IN THE ADVENTURE ADAPTATION? 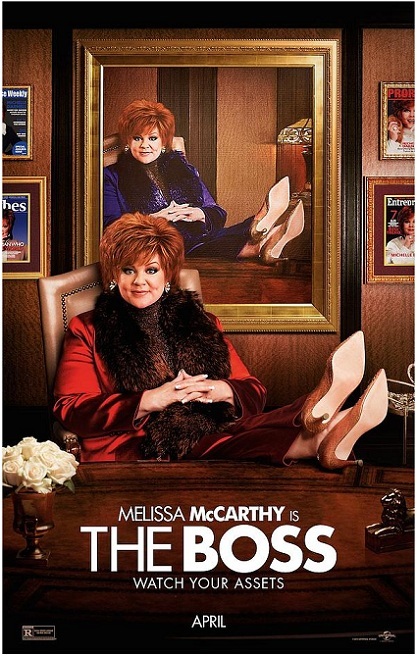 HILARIOUS 'THE BOSS' COMEDY TRAILER WITH MELISSA MCCARTY AND KRISTEN BELL! Well, this would certainly be a lovely casting choice, wouldn't it? 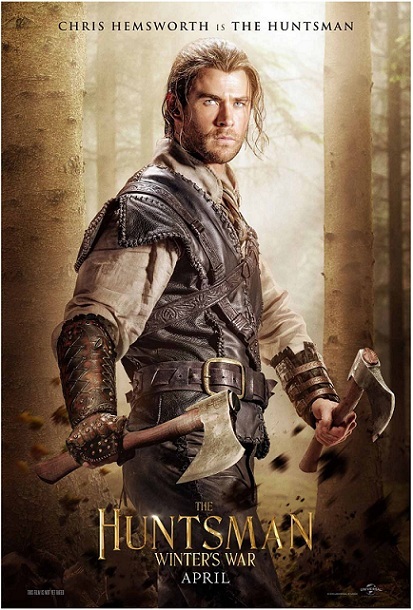 Rumour has it that Hollywood's favourite blond hunkster Chris Hemsworth is wanted for the lead role in the reboot of ALLAN QUATERMAIN adventure movie based on the classic KING SOLOMON'S MINES novels from H. Rider Haggard! Richard Chamberlain has previously played the title character in the 80's movies about the game hunter skilled with weapons who often traverses African continent searching for hidden treasures. 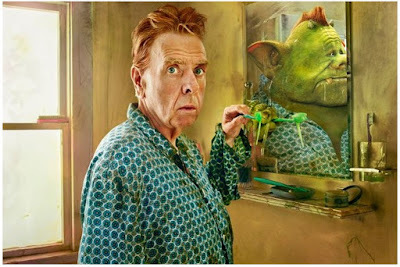 A few years ago fellow Australian star Sam Worthington was supposed to play the character over at Dream Works. Next year, you're watching Hemsworth in THE HUNTSMAN and in GHOSTBUSTERS as the male secretary of Melissa McCarthy mentioned belov! 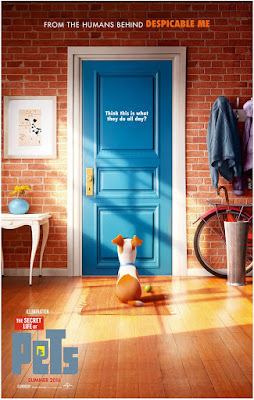 Your trailer for today is the first one for Melissa McCarthy's new comedy THE BOSS also starring Kristen Bell. Out next April it follows Michelle Darnell, a titan of industry who is sent to prison after she’s caught for insider trading. When she emerges ready to rebrand herself as America’s latest sweetheart, not everyone she screwed over is so quick to forgive and forget. Today we're busy with the news on all the new gigs that await hot redhead Emma Stone! She will star in LOVE MAY FAIL, an adaptation of Matthew Quick's bestseller about a divorcee who returns to her home town and tries to clear the name of her favourite English teacher whose career ended forcibly after a classroom scandal. She will also play tennis legend Billie Jean King in BATTLE OF THE SEXES which focuses on the 1973 tennis 5 set match between King and Bobby Riggs (Steve Carell). The competition took place in Texas and had a winning prize of $100,000. King ended up beating the former Wimbledon champion Riggs in a victory for female players! I've reported earlier that she will also join Rachel Weisz in royal drama THE FAVOURITE on Queen Anne of England. FOR 'PRIDE AND PREJUDICE AND ZOMBIES' IS HERE! Continuing this week's streak of epic posters, here's a ''bloody lovely'' new one for PRIDE AND PREJUDICE AND ZOMBIES which is out next February with 'the sorry stricken' infesting the land of Jane Austen's classic 19th century England tale. 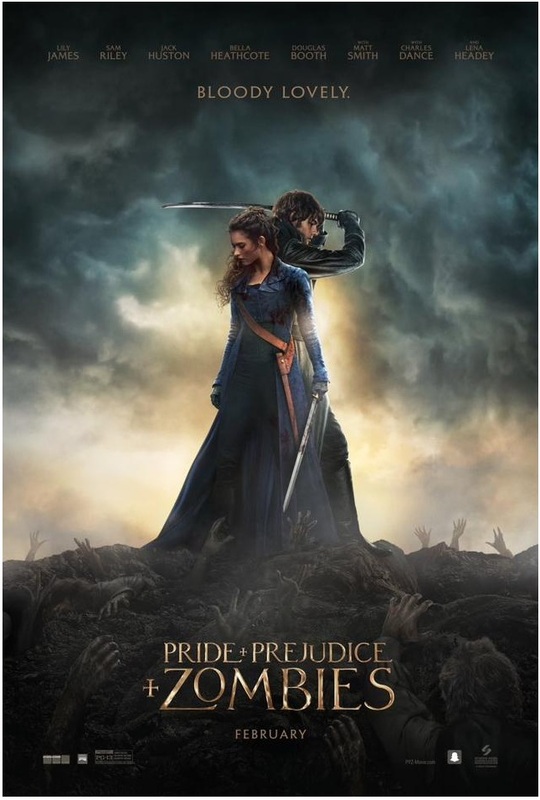 Elizabeth Bennet (Lily James) is a master of martial arts and weaponry and the handsome Mr. Darcy (Sam Riley) is a fierce zombie killer, yet the epitome of upper class prejudice. As the zombie outbreak intensifies, they must swallow their pride and join forces! 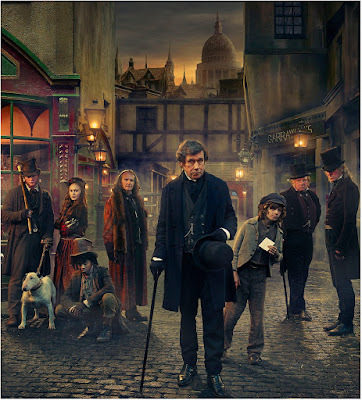 Douglas Booth and Jack Huston also star. 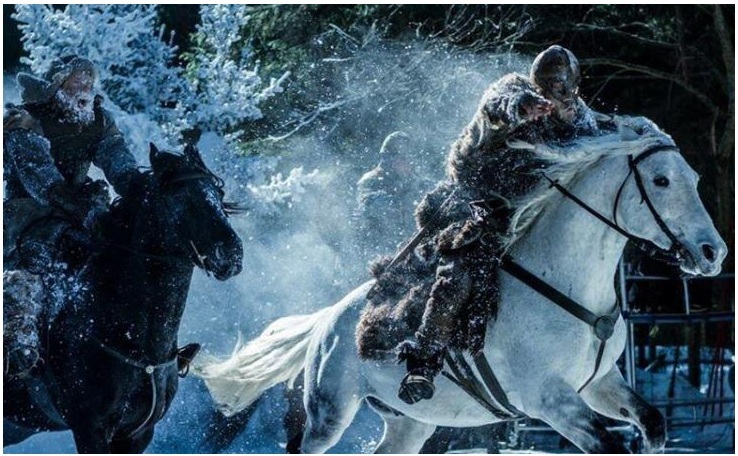 EMILY BLUNT RIDES INTO BATTLE ON A POLAR BEAR IN 'HUNTSMAN: WINTER'S WAR' EPIC JAWDROPPING TRAILER! 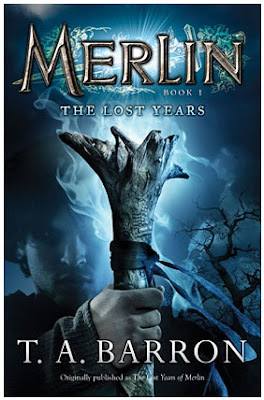 PHILIPPA BOYENS TO ADAPT 'THE MERLIN SAGA' INTO MOVIE! Epic news for you today, like it was yesterday too! Disney is planning a movie saga on young MERLIN and the latest info is that they have hired LORD OF THE RINGS and HOBBIT's Philippa Boyens to pen THE MERLIN SAGA! Based on more than ten of T.A. Barron's novels which were published from 1996 till 2011 following a boy who washes ashore in ancient Wales, with no recollection of who he is, as he becomes determined to learn the truth about his magical powers. 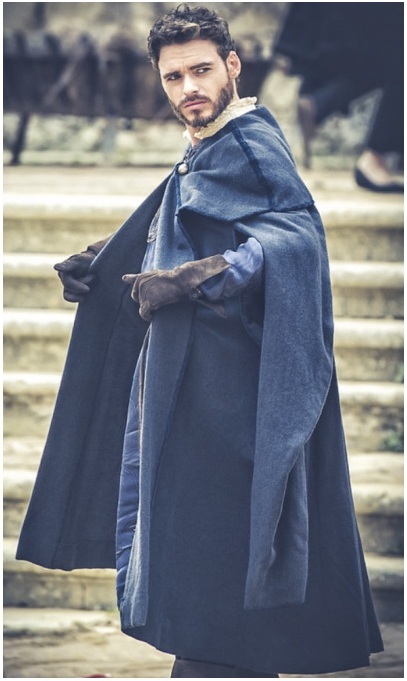 As you know, Colin Morgan gave a masterful portrayal of the young wizard in BBC's MERLIN TV series. As I promised you yesterday, here's the first full, and totally mind blowing trailer for next year's epic adventure THE HUNTSMAN: WINTER'S WAR which will see Emily Blunt ride into cinemas on a polar bear next April! She is absolutely ruling the trailer as the powerful and mesmerizing Ice Queen! 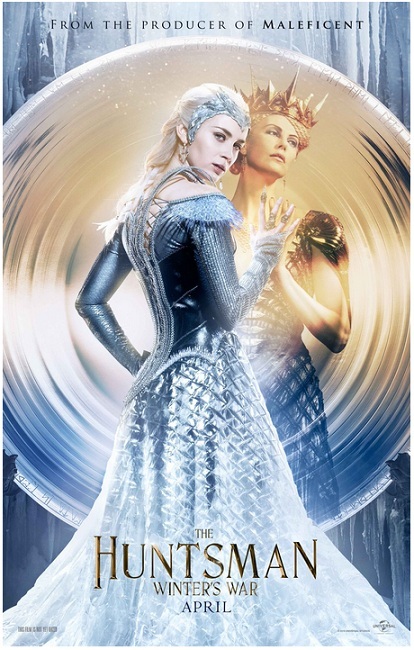 Charlize Theron returns as Ice Queen's sister Queen Ravenna, while Chris Hemsworth is the title hero! Read more about it in our premium spotlight! Sam Claflin and Colin Morgan also star in the movie made by MALEFICENT and ALICE IN WONDERLAND producers! 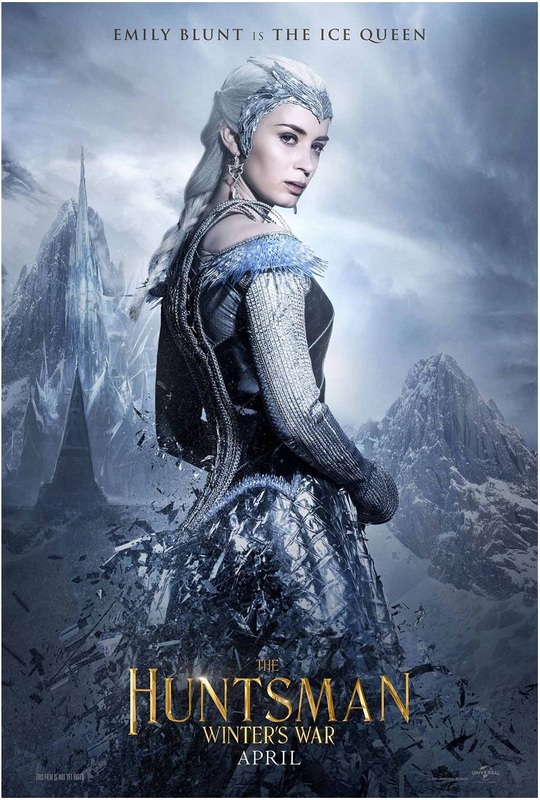 SEE EMILY BLUNT'S ICE QUEEN IN 'HUNTSMAN: WINTER'S WAR' EPIC CHARACTER POSTERS WITH CHARLIZE THERON & CHRIS HEMSWORTH! 'GODS OF EGYPT' TRAILER IS HERE! 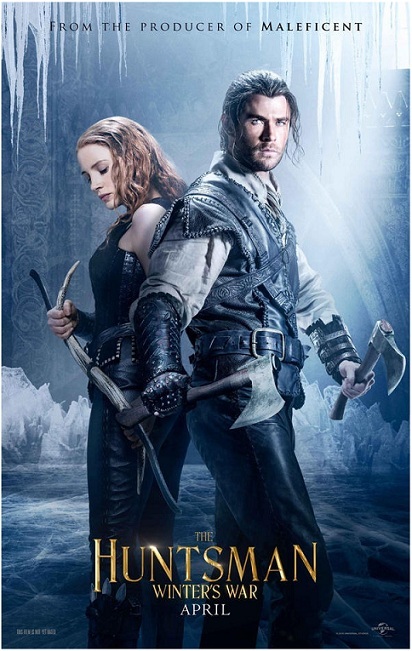 It really looks like 2016 could be one of the better years when it comes to epic movies, especially the spring and summer which are, besides GODS OF EGYPT and WARCRAFT, also bringing us THE HUNTSMAN: WINTER'S WAR to the big screens exactly on April 22nd! You can feast your eyes on the first gorgeous characters posters and teaser before the first trailer hits us tomorrow (I will put it here when it appears so don't forget to drop by Wednesday)! 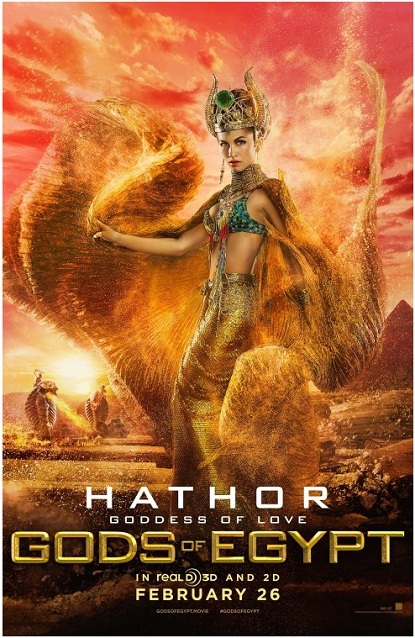 Chris Hemsworth and Charlize Theron return to their roles in this epic prequel joined by Emily Blunt (who is riding a magical beast in the trailer) and Jessica Chastain and Sam Claflin as prince William! 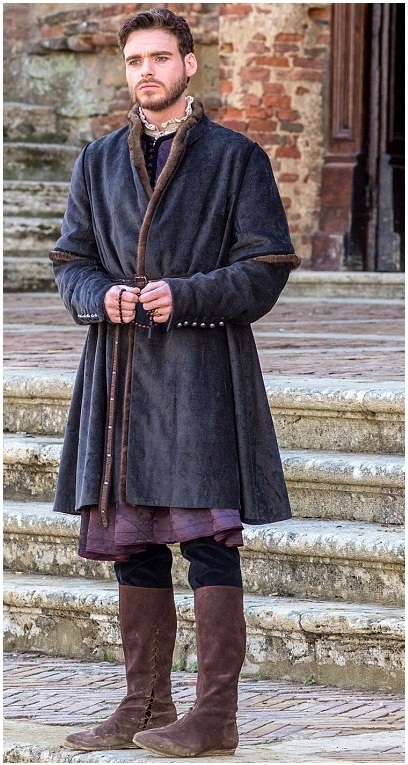 Our beloved MERLIN Colin Morgan stars as Duke of Blackwood! Long before the evil Queen Ravenna (Charlize Theron) was thought vanquished by Snow White’s blade, she watched silently as her sister, Freya (Emily Blunt), suffered a heartbreaking betrayal and fled their kingdom. 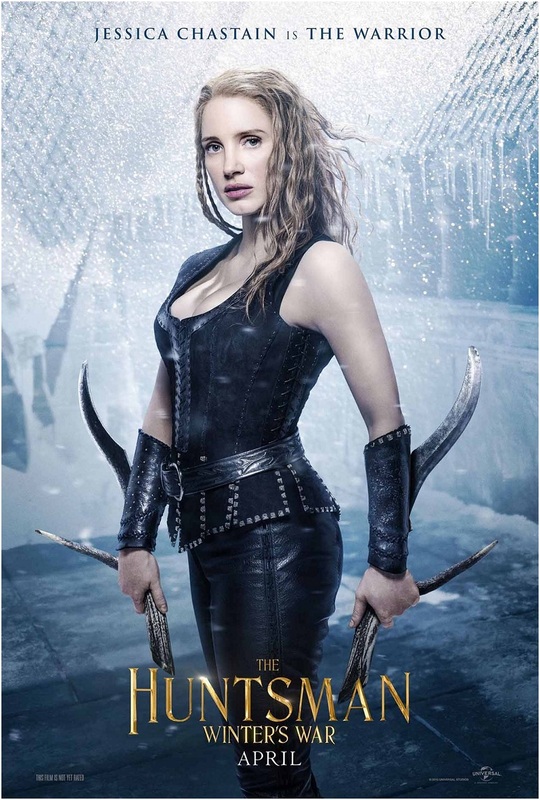 With Freya’s ability to freeze any enemy, the young ice queen has spent decades in a remote wintry palace raising a legion of deadly huntsmen, including Eric (Chris Hemsworth) and warrior Sara (Jessica Chastain), only to find that her prized two defied her one demand: Forever harden your hearts to love. When Freya learns of her sister’s demise, she summons her remaining soldiers to bring the Magic Mirror home to the only sorceress left who can harness its power. But once she discovers Ravenna can be resurrected from its golden depths, the wicked sisters threaten this enchanted land with twice the darkest force it’s ever seen. Now, their amassing army shall prove undefeatable … unless the banished huntsmen who broke their queen’s cardinal rule can fight their way back to one another. You can also check out the trailer for Gerard Butler's Ancient Egyptian epic movie GODS OF EGYPT which hits theatres next February! Nikolaj Coster Waldau plays Horus, Butler is Set in the lavish movie about which you can find out more in our massive premium spotlight! If seeing Jason Momoa as the future Aquaman ain't enough for you, here's a happy piece of news: he will lead epic TV mini series FRONTIER from Discovery Canada which has been picked up by Netflix as well! The six episode epic adventure series follows the chaotic struggle to control wealth and power in the North American fur trade in the late 18th century. 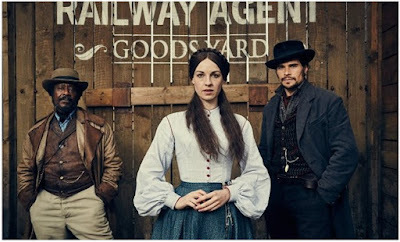 Also starring are Alun Armstrong, Landon Liboiron, Zoe Boyle, Allan Hawco and Jessica Matten. Told from multiple perspectives, the series takes place in a world where business negotiations might be resolved with close quarter hatchet fights, and where delicate relations between native tribes and Europeans can spark bloody conflicts! 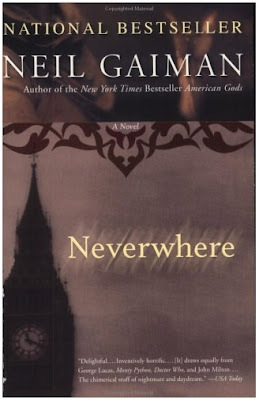 In other TV news, HUNGER GAMES director Francis Lawrence will turn Neil Gaiman's NEVERWHERE book into a TV series for BBC2! When Richard Mayhew encounters an injured girl named Door on the street one night, he decides to help her despite his fiancée’s protests. Upon doing so he ceases to exist on Earth and becomes real only to the denizens of “London Below,” whose inhabitants are generally invisible and non existent to the people of “London Above.” He loses his house, his job and nearly his mind as he travels London Below in an attempt to make sense out of it all, find a way back and help Door survive as she is hunted down by hired assassins. 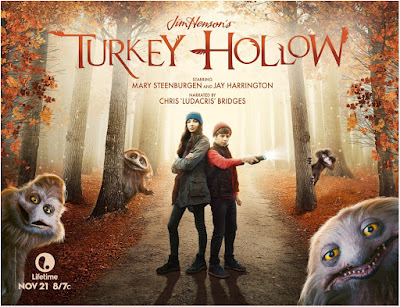 Check out how cute this is - a trailer and a poster for Jim Henson's TURKEY HOLLOW TV movie which hits Lifetime November 21st ahead of Thanksgiving! The movie follows the Emmerson family as they head to the quaint town of Turkey Hollow to spend a rustic Thanksgiving where they soon find themselves swept up in tracking the “Howling Hoodoo,” an elusive monster that, up until now, Turkey Hollow residents have long dismissed as mere legend.